Erin Nolan leads the selection of artists and repertoire for the national broadcast of From the Top’s NPR radio show. Erin received the majority of her training as a musician in Europe, having grown up in Italy and England. Although she traveled to the States for university studies, as a performer, Erin has worked primarily as a chamber and orchestral musician in London, England, having performed and toured extensively as a violist in the English Chamber Orchestra, the BBC Symphony Orchestra, and the Royal Philharmonic Orchestra. 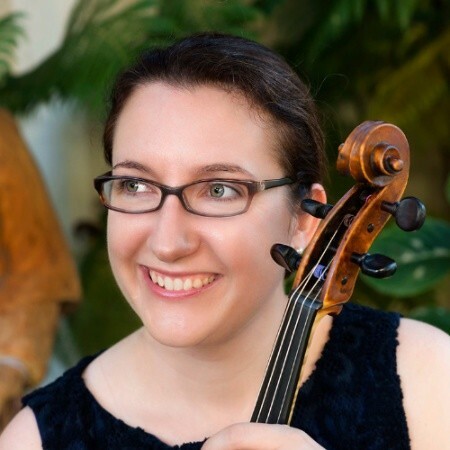 As a chamber musician, Erin trained with the Guarneri, Juilliard, and Cleveland String Quartets, and in 2004, performed in four Carnegie Hall performances with Yo-Yo Ma and the Silk Road Project. In 2011, Ms. Nolan began working at From the Top, supporting both the scholarship and the production departments. In her current role, Erin shares the passion of the organization to encourage and celebrate classical music in the hands of young musicians, and to provide the young performers with the opportunity to reach their potential.